In the hills of Cannon County, TN, an area once dotted with the stills from local moonshiners, Short Mountain Distillery has claimed that heritage and brought it into the legal world. Because of its founder though, this is much more than just a shiny copper still in the woods, it’s a entire self sustaining farm-to-bottle enterprise well worth the trip. While a bit off the beaten path, a tour of Short Mountain Distillery will satisfy all of your senses and you’ll have an experience that is unlike any other distillery in the region. And after a few pours of their moonshine, you’ll travel along in high spirits. Billy Kaufman, owner and founder, moved to Cannon County in 2001 to start farming. In 2010, he opened his distillery, Short Mountain Distillery with an aim to highlight the history and heritage of the local area. He has even gone so far as to employ several local Moonshiners to bring their skill set and reputations to bear for the benefit of the local community and the whiskey world writ large. You should go to Short Mountain for a variety of reasons. First for the whiskey tour. While the aged products are still in development, the heritage and traditions are such that they produce some of the best unaged whiskey and moonshine in Tennessee. Beyond the still, the entirety of Short Mountain is worth a day to itself. As this is a working farm, tours are scheduled Friday through Sunday from 11:30 til 2:30. 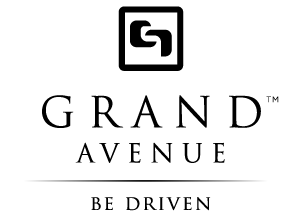 Contact us for special opportunities as we have close connections with all the distillers to make sure you get the tour time that works best for you. The entire 300 acre farm is replete with livestock, walking trails, and entertainment opportunities. Short Mountain will put on a concert series during the season and their new restaurant, The Stillhouse Cafe at Short Mountain Distillery, will serve you the best meal in the county. It’s a quick drive east from Nashville, a little over an hour so definitely doable on a half day trip. 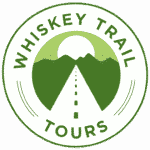 Choose TN Whiskey Trail Tours and allow Grand Avenue to deliver the best of TN Whiskey in style.